33. You have developed an over-inflated sense of self. 44. You’re frustrated with the current world status. 55. You’ve fallen back into old patterns of behavior. 66. You’re not listening to your heart. 77. You still think that you are unworthy. No matter your level of conscious awareness or the level of spiritual awakening that you have attained, there will come a time on your spiritual journey where you know that you have made great progress and then suddenly… nothing. Positivity has flown out the window, prophetic visions and lucid dreaming have been replaced with normal lower conscious ideals and mindfulness has been replaced with overactive thinking patterns. You simply can’t make the connection that you once felt and it seems impossible to return to the level of light, love and higher awareness that you seek. Everything you attempt to get moving again seems to fail, as if an invisible road block has been put right in front of you, leaving you wondering, just what is going on? It’s a path that can’t be avoided, but why does it happen? Spiritual road blocks are designed for you to slow down and take a break. Your initial spiritual awakening, may have been so full-blown, that now your mind needs the time to rearrange itself. A reformation of belief systems, perceptions of the world and perceptions of yourself are in order here. These time periods can be extremely frustrating and sometimes even painful if the cycle is leading you into another Dark Night of the Soul. Navigating this rocky terrain requires, patience and gentleness with yourself, in order to sail the rough waters, safely ashore. Determining the root cause of spiritual, developmental, stalemates, are crucial to getting you back on the road again. A spiritual awakening can bring repressed memories and emotions from your unconscious into your conscious awareness. Such as past lives, things you may have forgotten about or things you weren’t even aware had occurred, may come bubbling to the surface. You may even begin to disassociate with these memories, eluding yourself into believing that they are figments of your imagination. Any psychologist will tell you that anger stems from a wide variety of underlying causes. When it comes to anger stemming from a spiritual awakening however, we usually can narrow down the field a little bit. You still have hidden repressed memories, not yet brought to surface as well as the failure to forgive for those memories brought to your conscious awareness. 3. You have developed an over-inflated sense of self. When you awaken you feel on top of the world, you feel like you have ‘finally arrived’ and looking back at others who have not yet reached your level of awareness, you can’t help but eventually feel “special”. Don’t get me wrong, spiritual enlightenment and the evolution of consciousness is something to be celebrated! However, spiritual enlightenment is the ultimate goal for all humanity, not just a chosen few. The more you associate yourself with this I.D of being different or special, that is according to Freud, “motivated by self-gratification and pleasure” the more you battle with your ‘super ego’ effectively making it impossible to sustain a present awareness of acceptance and love, Thus hindering the continuance of your spiritual growth. Quite simply the more you believe that you have “arrived” the more you have nowhere to go. No matter how much you want to continue on your quest in attaining consistent spiritual fulfillment your cup is full and needs to be emptied. 4. You’re frustrated with the current world status. 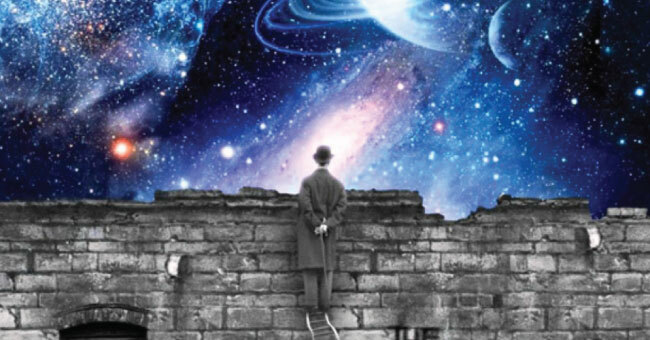 After much euphoria and exploration of the higher realms of life, gaining the wisdom and understanding of your multidimensional universally connected existence, you find yourself– human again. This can be a major let down. The power that you exuded in the upper realms isn’t manifesting in your current physical state and this can cause much discomfort and impatience. You may also feel alienated from much of society as you have been endowed with much wisdom and wish to share your knowledge and yet to those who are “un-enlightened”, your perceptions and ideals are viewed as unrealistic and over-exuberant. After much effort in attempting to teach others of your path, you end up feeling more discouraged than appreciated. Feeling as though your hands are chained, watching as the masses fall into the same old cycles of fear, attachment and compliance to the ruling oligarchy. 5. You’ve fallen back into old patterns of behavior. Do you remember that moment when you first “made contact?” The moment when everything opened up for you in a blink of an eye and your entire world was changed. You saw reason and meaning behind everything that is, was and is yet to come. Do you also remember how it felt when you realized that you were a pawn in the game, a slave to a system that appeared to be winning? What we were exposed to during our awakenings was real and true, so hold fast and hold firm because we are the change and we are the people the world has been waiting for– all of us. 6. You’re not listening to your heart. While we are all globally connected, with hearts beating to the same drum, we are still unique. Each of us have a piece to a larger puzzle that is ushering in the age of enlightenment. Not one of us views the world from an entirely uniform basis of perception and it is in this uniqueness that lies your life purpose. That piece of the puzzle that you are to bring to the table and do this you must follow your heart. We are always receiving subtle cues, synchronicities and soft nudges from the universe: a guidepost of light in a world that sometimes can feel enshrouded with darkness. When your mind cannot find its way out of its current spectrum of reality, your heart will always guide you along the path you are seeking. 7. You still think that you are unworthy. Due to major cultural, societal and religious indoctrination’s, a spiritual awakening can naturally be interpreted as an external happening, that of which you had little or no control over. A gift from the gods or God, as your consciousness projects itself and is viewed out of the physical body. As such, feelings of unworthiness can immediately take over the control center in your mind and many will feel that they have been blessed with such a wonderful gift, that is not deserved. While there are many Gods, Bodhisattva’s and Guides that can be of assistance to you on your awakening journey, the realization of authentic power is the ultimate liberation. This authentic power emanates from within your own unconscious mind, that which is already a part of you; quite simply it is in your DNA. By making the unconscious-conscious and bringing memory forward, the wisdom and knowledge unfolds in knowing that you are in control of your own destiny. Everything you need is already within you. So if you are stuck on your spiritual awakening journey, meet your anger with love, follow your heart in all of your ways and remember that you are always worthy.